We’re Having a Membership Drive! If you’re looking to join the musicians’ union now is a good time. Local 518 is having a membership drive which means you save big on membership fees. Looking for a trio to play for a wedding in Picton, Ontario. 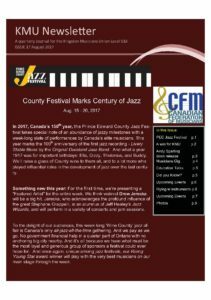 Contact the office for details or check out latest edition of newsletter, union musicians need only apply. Contact the office if you are a musician that is interested in playing for a wedding on the 23rd September. 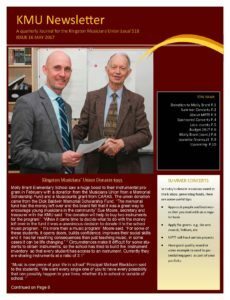 Details are in our August newsletter. Union musicians need only apply. 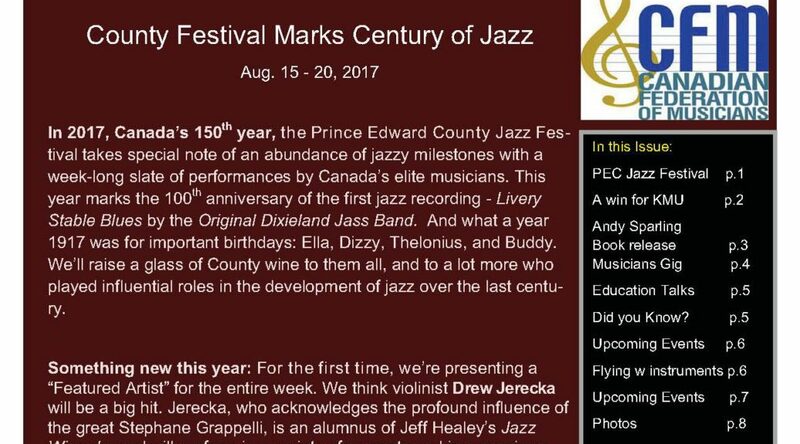 opportunity to play a musical instrument. working toward a common goal. Peer mentoring is integral to the experience. ● Accessibility – programs are free and inclusive to all. enthusiasm, and learn from and adapt to challenges that arise. • Lead cello sectionals with a focus on the development of proper cello technique. in all other music activities. • Hourly. Rate commensurate with experience. etc) in language consistent with other Sistema Kingston staff. ● Implementing lesson plans developed in collaboration with the Sistema Kingston staff. during all Sistema Kingston program hours and performances. with the children in a kind, respectful and compassionate manner. University on a Casual Staff contract. ● Hourly rate of pay will include vacation pay, and is subject to statutory deductions. submission of accurate time-sheet reporting each pay period. promptly upon the employee ’ s resignation or termination, or upon request. severance pay. Termination for just cause will be without notice. this agreement will nevertheless remain in full effect. Deadline for application: Monday July 31, 2017. We appreciate and thank you for your interest in Sistema Kingston. the program with enthusiasm, and learn from and adapt to challenges that arise. choral curriculum that supports the overall SK curriculum. language with the Sistema Kingston team. • Hourly. Rate is commensurate with experience. Kingston staff to support annual curriculum goals. 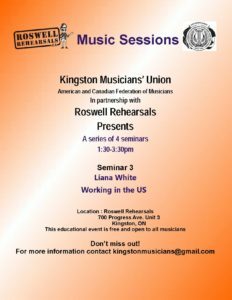 Kingston program hours and performances. promptly upon the Teaching Artist’s resignation or termination, or upon request. weeks notice without prejudice. Termination for just cause will be without notice. reused or modified by both the Teaching Artist and Sistema Kingston at any time. National Auditions will be held on Monday, August 28, 2017 in Harrison-LeCaine Hall, Queen’s University School of Music, in Kingston, Ontario. 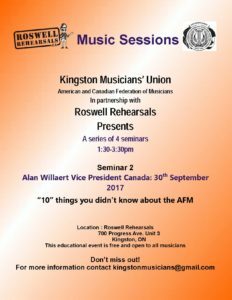 The musicians of the Kingston Symphony are members of the Canadian Federation of Musicians. Deadline for applications is Friday, August 18, 2017. Please contact the Personnel Manager for copies of the excerpts and for further information.